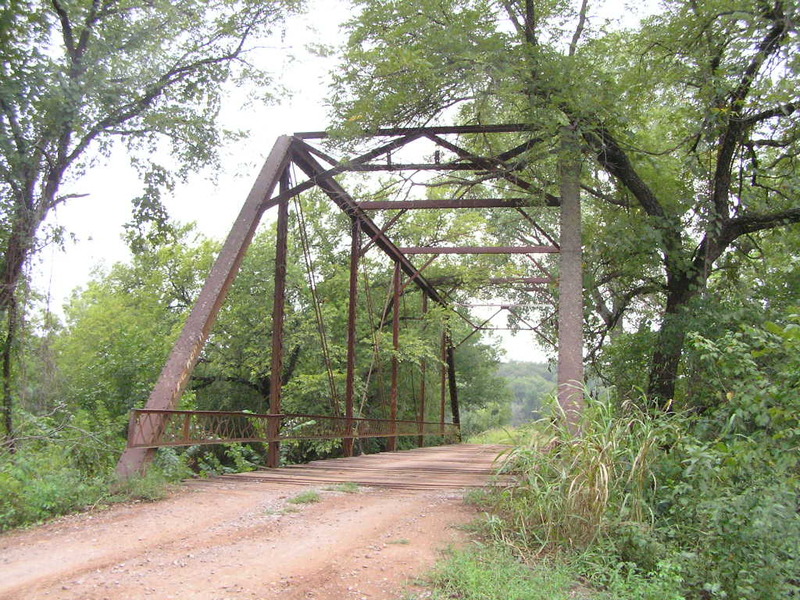 Bear Creek Bridge, Lincoln Co. 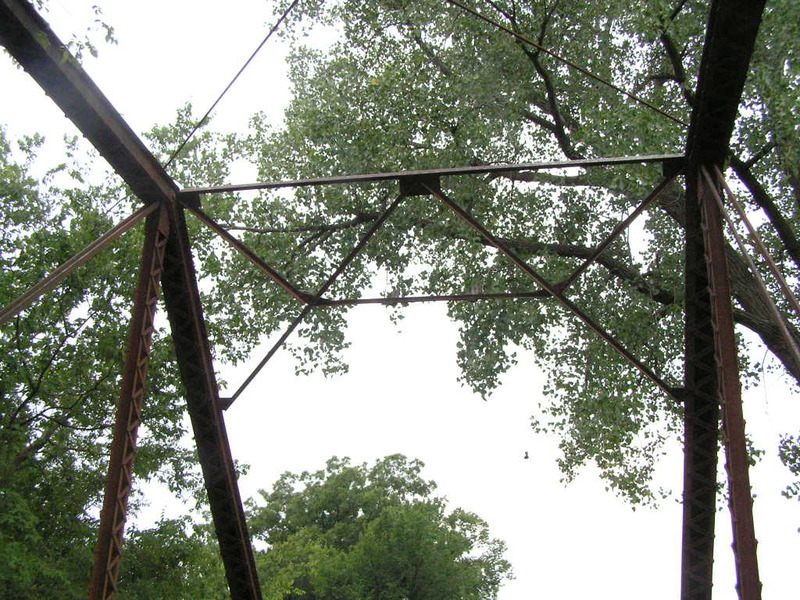 This remarkable span stands in west central part of the county crossing Bear Creek on an east west road near Fallis. 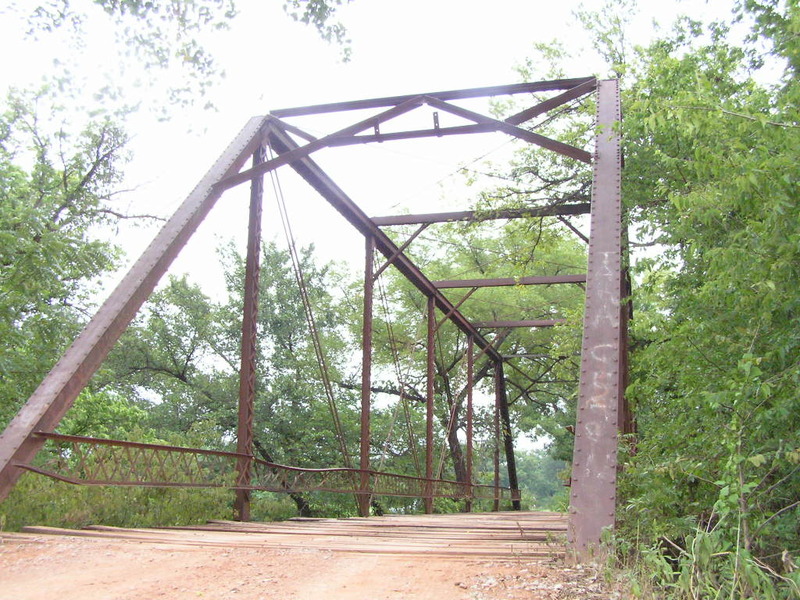 Built in 1904, this 115 foot span is one of the oldest non-railroad through bridge in Oklahoma. Considering that, at this writing, it is 102 years old, it is in remarkable condition. 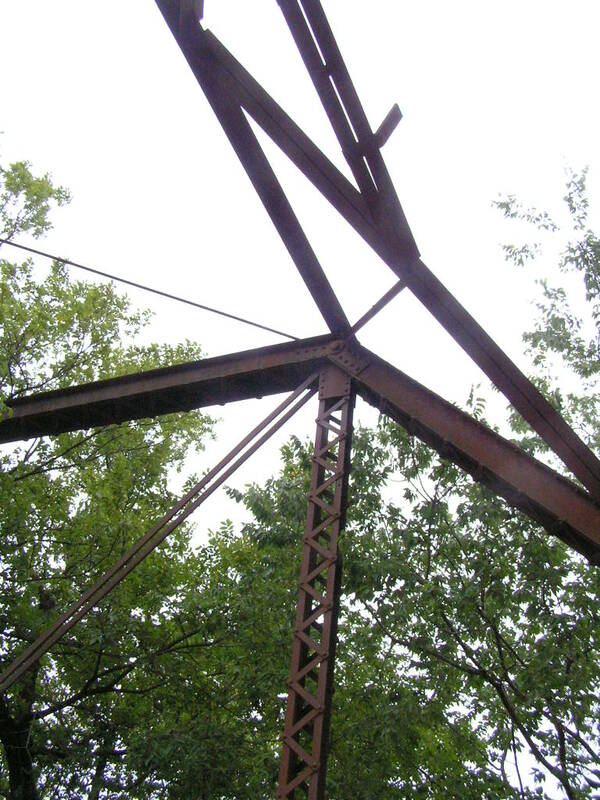 Our first picture of the bridge, above, looks through it towards the west. Below, another picture looking west from on the the deck. Below, a detail of the knee-brace and typical upper chord connection. Above, the simple, yet effective a-frame portal. 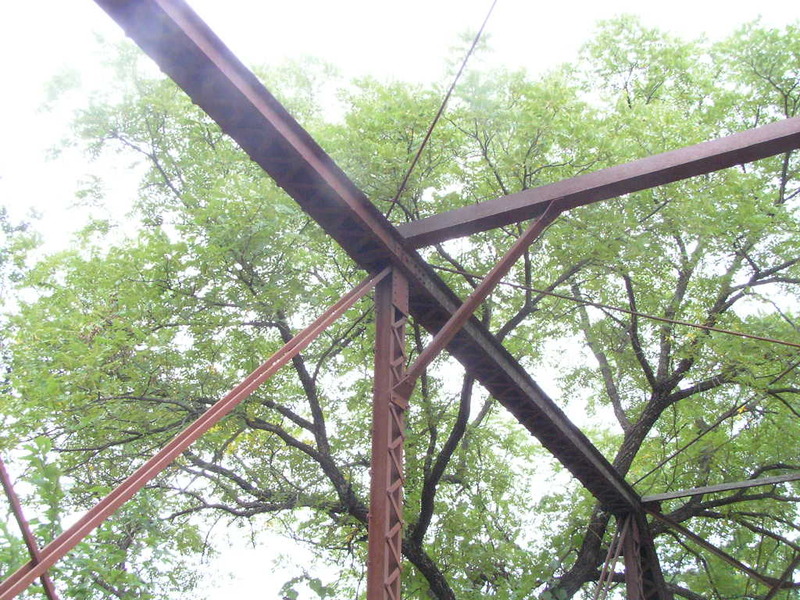 Below, the only vertical member in a Pratt truss that isn't in compression is shown below, the so-called "hip vertical", because its upper terminus is the hip. 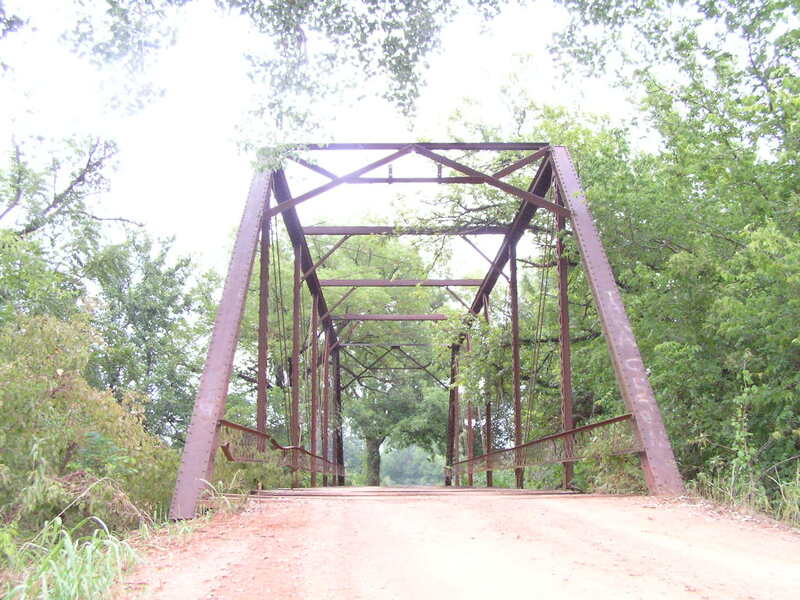 This bridge is unique because the hip vertical isn't an eye bar, a sign that this was a better bridge of its time. 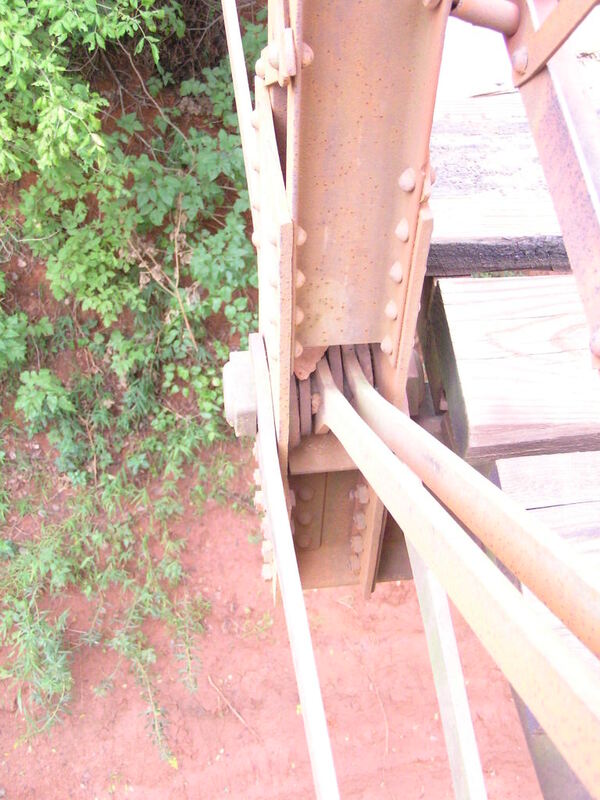 Below, a typical lower chord connection. Another view of the "bridge triumphant". Below, a through shot looking east. Be warned if you visit the bridge that many nailheads stick out of the deck. 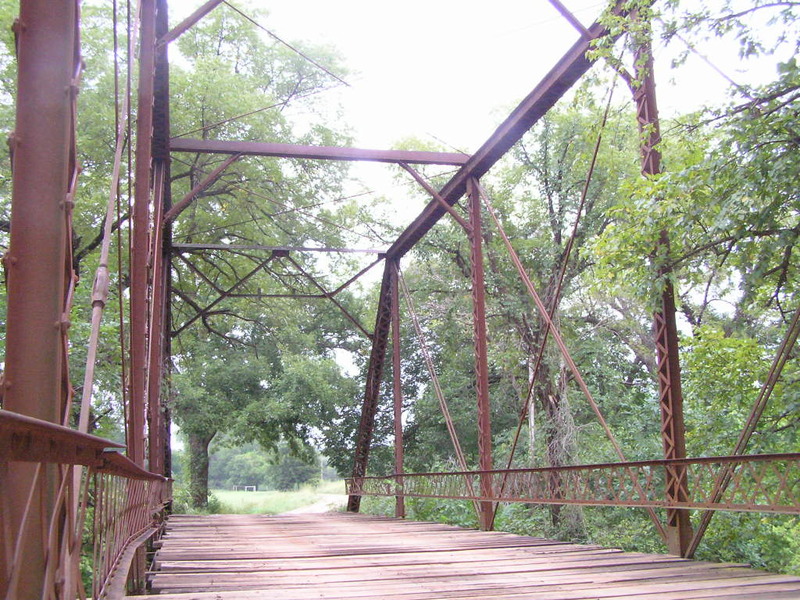 This bridge has the distinction of being the second oldest in Lincoln County, a status that we hope will keep it around for many generations.